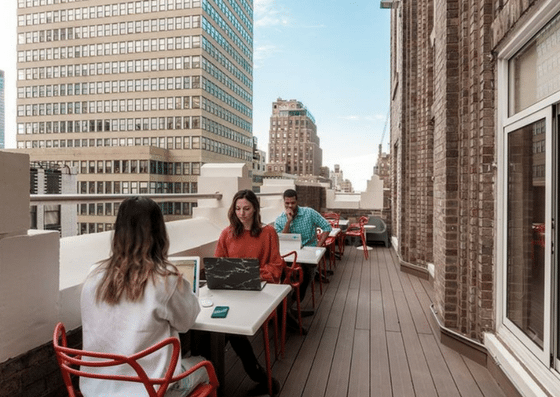 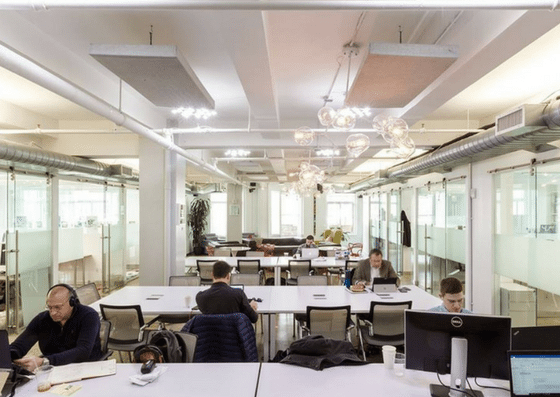 Workville NYC — centrally located steps from Times Square, Bryant Park, & major transportation hubs — is a coworking space offering virtual memberships starting at $50/month, open coworking spaces for $19/hour – $500/month, dedicated desks starting at $750/month, and private offices ranging from $1,500 – $4,500/month. 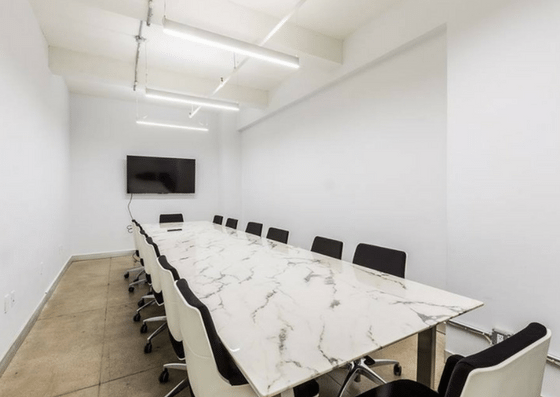 Their amenities include mail service, conference rooms, daily cleaning, & more. 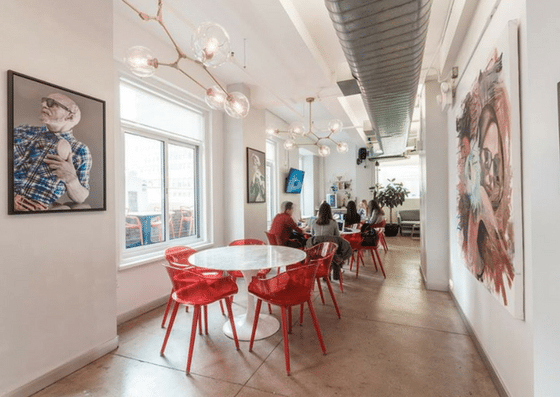 Workville NYC offers virtual memberships starting at $50 per month and conference rooms starting at $75 per hour. 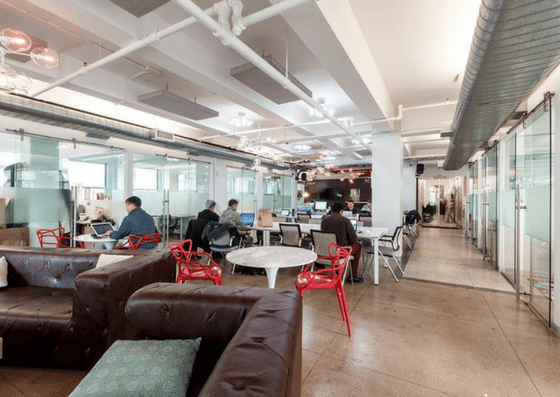 Their open coworking spaces cost $19 per hour, $45 per day, or $500 per month. 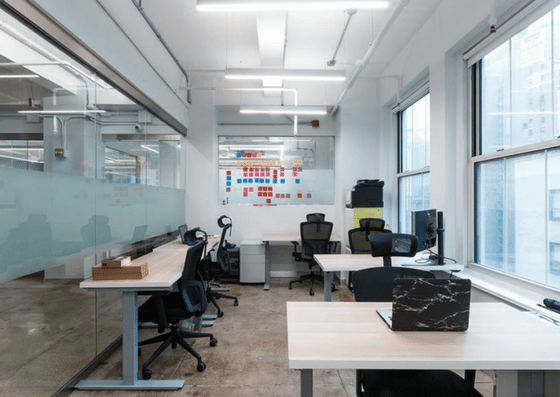 A dedicated desk costs $750+ per month, while their private offices range from $1,500 – $4,500 per month depending on the number of people.